I fell in love with a quote Tinna had said, “food is to survive, happiness is to live.” This refers to Maslow’s Heiarchy of Needs, describing how the most essential needs for survival must be met before you can move up to the next desire. There are 3 levels of the pyramid: basic needs, psychological needs, and self fulfillment needs. Basic needs includes things such as food, water, sleep, and feeling secure. The second level includes feeling of accomplishment, as well as a sense of belongingness and love. The third level is achieving one’s full potential. 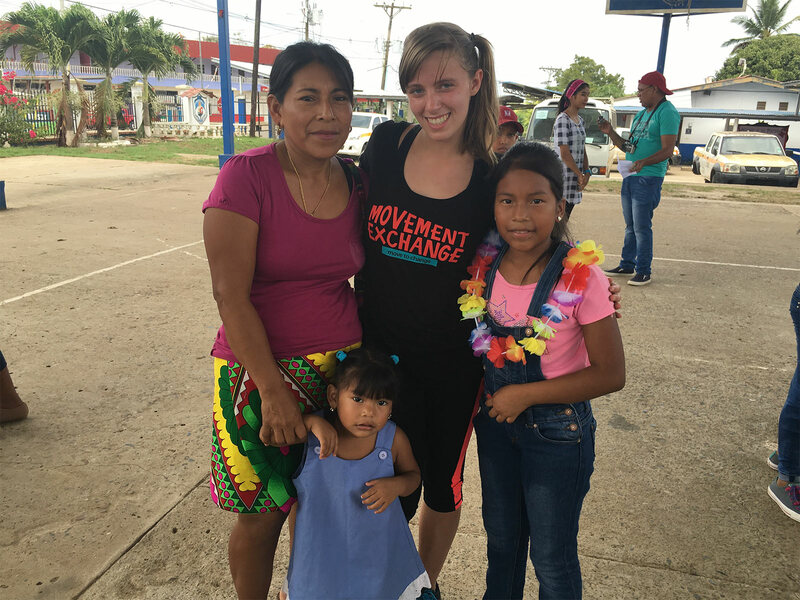 No, Movement Exchange did not come to Panama to give the village of Meteti food and water, or help build them houses for secure or safety purposes. But I believe we gave them something that is just as valuable, happiness. On the sixth day of our trip, we had our performance with the kids. It was amazing to see how excited they were about this. And at the end, they showed us their gratitude with an after party, followed with countless hugs and photos. It wasn’t just the kids though that were grateful, it was the parents and the community as well. There were a few moms who talked to us all, saying how they began to see their kids dancing around the house and how they were so excited to be showing off their new skills they learned in class that day. There isn’t much for them to do in that village when they aren’t in school, so dancing helped keep them entertained and out of trouble. Meteti has a reputation for having a lot of teen pregnancies, so hopefully if they kids can get more into dancing, it will keep them from being bored and maybe this can be a small step forward to lowering the rates of young moms. So no, we couldn’t provide them with food always when they were hungry between breaks during class, but they sure were happy. The smiles they had on their faces the entire morning when they first arrived to the time they left said it all. Happiness and just the small sense of accomplishment when the kids were able to get better at their dance skills, will help them go much farther in life than anything else will. Movement Exchange gave our time rather than objects to these kids, and that means more to them than anything else. We created meaningful relationships with these kids, and that’s what some of them were missing in life, or what they were craving. Do what makes you happy, and the rest will fall into place. So if you ask me, happiness is an essential key to life. If you’re not happy, are you truly living? My favorite part: “The smiles they had on their faces the entire morning when they first arrived to the time they left said it all. Happiness and just the small sense of accomplishment when the kids were able to get better at their dance skills, will help them go much farther in life than anything else will.” Thanks for sharing Marissa!